The starter in question is an Osram ST111 made in Germany. 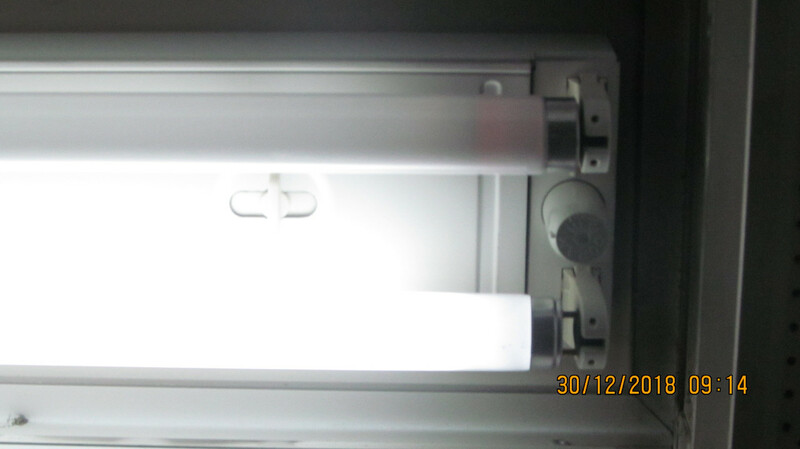 There is no end blackening at any end of the lamp, so it is good, and still don't show any thermionic discharge. Those tubes could do with being fitted properly the Osram one looks like it could fall out or could arc the lamp holder and melt it, Id remove the starter or try flicking it as it will make it become unstuck. 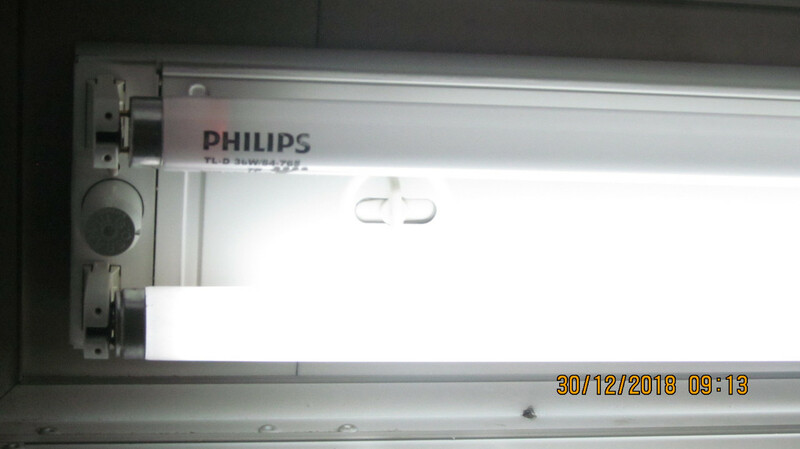 The operating lamp is slightly shorter than the Philips TL-D 36W/54-765. That why its have exposed pins at the right.